Our unwavering dedication to our clients and our projects has allowed us to become a leader in the playground and recreational industry in Florida and the surrounding Gulf Coast region. Family matters to us. We are a family business, with deep roots in our community. Many of our clients become life long friends and part of our family as well. Our mission statement is simple, but powerful; Play For All. 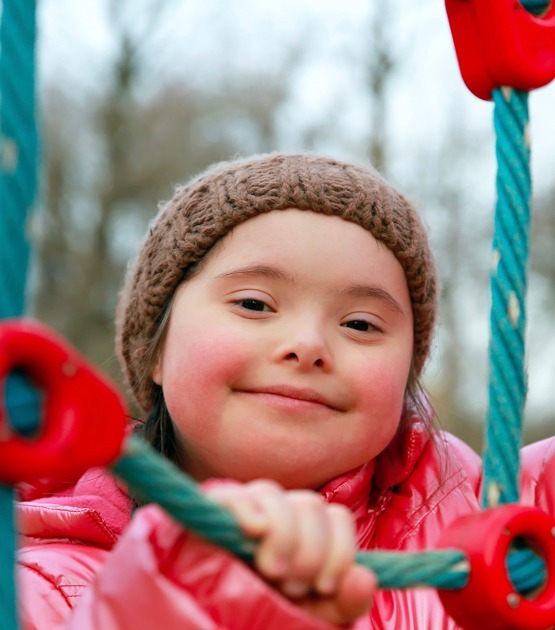 Kids of all abilities and disabilities, races, and financial means deserve a safe place to grow, learn, socialize and develop. 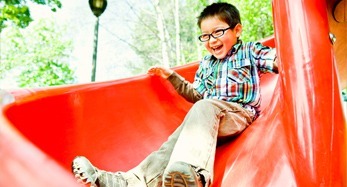 We are licensed General Contractors and NPSI certified Playground Safety Inspectors. We have successfully completed over 100 projects. 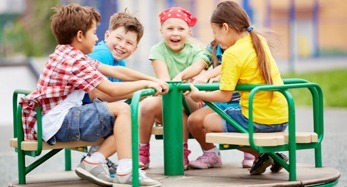 Pro Playgrounds is your one stop shop for all of your playground equipment and recreational needs. We offer turnkey solutions to help our customers complete their playground and recreational projects quickly and professionally. We pride ourselves on being a family owned and operated playground company, serving communities across the nation for the last decade with unparalleled client dedication. We handle projects of all sizes and shapes; from small playgrounds for churches to large municipal parks and other outdoor spaces. We understand that in business, it’s people who make the difference. Our team is here to help you every step of the way during your project or purchase. We have the knowledge and expertise to make sure your project is a success. Our playground company has built a reputation for being trustworthy, competent and reliable. Whether you are looking to just purchase a playground or shade structure, or perhaps you need safety surfacing installed, we can get you taken care of. We are one of the few companies in the united states that offers a truly turnkey line up of products and services, handling all of our clients’ needs under one roof. A nearly limitless selection of custom designed playground equipment from the leading and most reputable playground manufacturers in the industry. Easy online quoting that allows you to browse all of our products and select the items you like. Expert design services that include 2d and 3d drawings for your playground or recreational project. Expert construction and installation services for all types of recreation products and needs including basketball courts, outdoor park facilities and more. The largest selection of shade structures from the industry’s leading shade structure manufactures, including sail shades, playground shades, outdoor park pavilions and more. The largest selection of playground equipment, accessories and site amenities; including shade structures, picnic tables, bike racks, benches, fitness equipment, climbing structures, slides, merry go rounds, see saws, ADA access ramps and more. We are not contracted with any particular manufacturer; we provide what the customer wants. All inclusive playground design services; literally from the ground up. We address all the critical issues of playground design and construction; including sub surface and drainage, playground surfacing and perimeter, security and containment, ADA, CPSC, ASTM, and NPSI compliance and more. We specialize in playground design and construction; our installers are NPSI certified Playground Safety Inspectors. This ensures your playground is installed right the first time, every time. We pay close attention to make sure we always meet or exceed all playground code requirements, ensuring a safe playground and protecting our clients. We offer every possible playground surfacing option available, including poured in place rubber surfacing, poured in place rubber mulch, rubber mulch, fibar, artificial turf and more. We truly are the playground and recreation experts. We have handled projects of all shapes and sizes all over the United States. We will be here to assist you with every step of your project, even if it is just a simple purchase or even a full size municipal park. We will help you with the design, the revisions, the permitting and execution of the entire project, all handled by our team of experts, all under one roof. We will take the time to learn about your project, available space, users, budget and needs. We will take this information and use it to design a unique play environment for you. We also have a convenient online quoting system that allows you select equipment and create a quote, all online, all on your own without any hassles. This is a great starting point for many of our clients. We will use the information you have provided us in conjunction with our expertise to create a quote for your project. We will make sure that everything is truly turnkey. We will contact you to go over the quote and make sure that you are happy with everything and answer any questions you may have. If you want to modify anything we will take that into consideration and make the appropriate changes. The final step to our process is finalizing and scheduling the project. We will have all the paperwork and financial requirements ready to execute the project. Once those details have been handled, we will proceed with procuring your equipment, scheduling the installation, obtaining permits if necessary, etc. We have completed over 100 projects of all shapes and sizes across the Southeastern United States, including playgrounds, parks, surfacing projects, artificial turf installations, track and field applications, sports courts and more. We are a licensed general contracting firm, with roots in traditional building construction. In addition to this designation, we are also certified by the National Recreation and Parks Association as Certified Playground Safety Inspectors. This unique combination of licensing and experience assures our clients that every installation and project we undertake will be be completed safely and correctly. 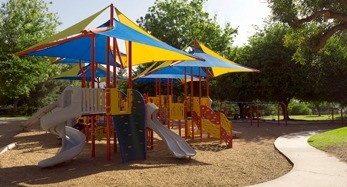 We guarantee that you will not find another company that will be more dedicated to your project than Pro Playgrounds. We strive to provide our customers with not only the highest quality playground equipment and installation services, but also the highest quality customer service, both before and after the sale. We are passionate about playgrounds and we promise that your project will exceed all expectations regardless of the size of the budget. Don’t wait any longer, get started on your project today, call one of our playground experts and make your dream playground a reality. Can you have my project completed by a specific date? This varies on the project and products that will be used however generally the only way we can guarantee a date is if the order is placed 10 weeks or more in advance for non stock structures, or if we use in stock items. We would not feel comfortable giving you a date that we were not 100% sure we could meet. However the sooner we get the order processed the sooner the project can be completed. Will I need permits for my project? This depends on where your project is located and the scope. In most states you will not need a permit for just a playground. However if you are installing a shade structure or if the installation is for a commercial facility you may need permits. We will research and handle all of this for you. How much does it cost to install a playground? There is no set rate for installing playground equipment, it really depends on the side of the unit, the features it has, for instance whether or not it has large cumbersome slides, etc. Other factors like what surfacing will be used, existing conditions, etc also factor into the price. The best thing to do would be to provide you with a quote so that we can make sure you are getting accurate pricing. Our quick ship items all ship within 72 hours. With our other equipment, the lead time varies with the season and is currently 6 weeks. Once the order is placed we will check in weekly with the manufacturer and keep you updated on the progress. The delivery carrier will also call you to schedule the delivery. 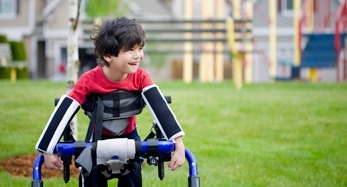 How will my playground equipment arrive to me? Generally the equipment will arrive on a pallet or in a large crate. If we are handling your installation, you will not need to worry about unloading the equipment from the truck. However if you are just purchasing equipment from us, you will be responsible for unloading the equipment from the truck. On some occasions a lift gate may be available and helpful but this is not always the case. You will be responsible for breaking down the crate, removing the items and disposing of the crate and packing materials. The delivery drivers generally will not help unload the equipment. Can we install commercial playground equipment ourselves? The installation process is not that difficult as long as you have adequate manpower and at least one person with construction knowledge and adequate tools. We will make ourselves available to answer any questions you may have. How much does artificial turf cost? Can you give me a ballpark price? There are a lot of factors that affect the price of an artificial turf system. The price can vary drastically depending on what sub surface is used, what turf is selected since we have over 30 types and the preparation requirements just to name a few. The best thing to do would be to let us provide a quote for you so that we make sure you are getting accurate pricing.